Hare gazing at the moon in solid bronze by Michael Simpson. In folklore the hare has strong connections with magic, witches and the moon. 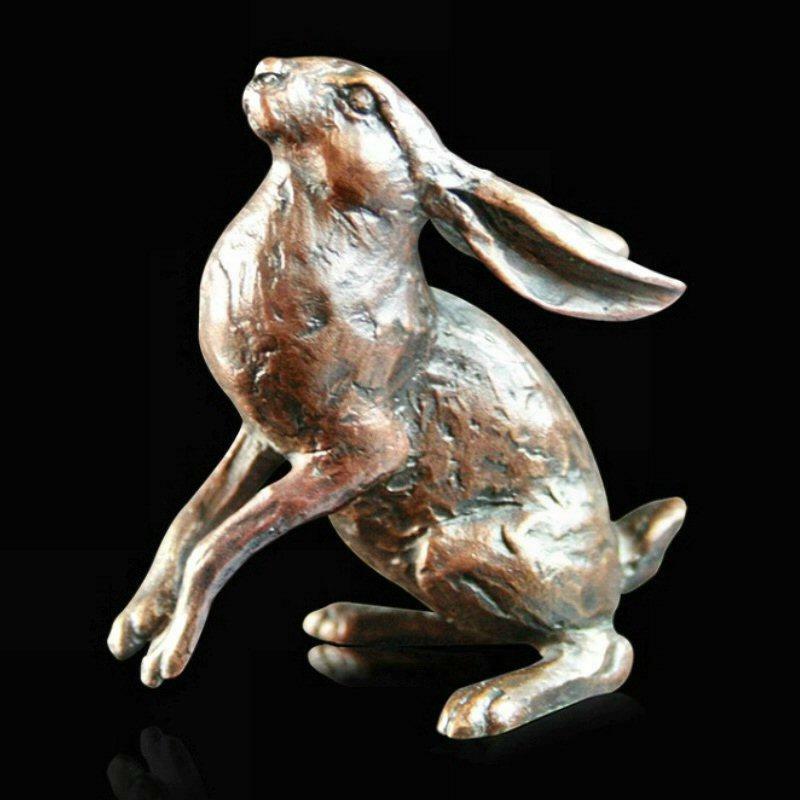 Finely finished with beautiful texture this small bronze, limited edition hare would make an ideal gift.